This is a very easy to prepare tea time snack which can be best enjoyed over a cup of hot tea. This is nutritious and looks very colorful. It’s a better way to serve to children who don’t eat beetroot. =► Peel the skin and boil beetroot in enough water and grate it well. =► Take a bowl mix all ingredients (except oil) along with little water. 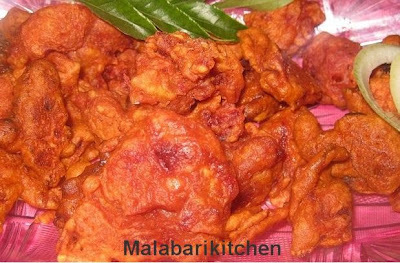 =► Coat grated beetroot with besan mixture. =► Heat oil in a pan, take a spoon full of mixture and put into hot oil. =► Fry it (deep fry) each pieces very well and serve hot with ketchup. that should be really delicious..